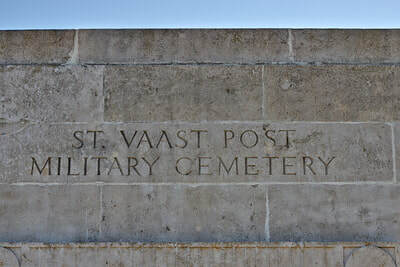 St. Vaast Post Military cemetery lies near the village of Richebourg-l'Avoue which is 9 kilometres north-east of Bethune. From Bethune follow the D.171 toward Armentieres and progress onto the D.166 proceeding into the outskirts of Richebourg. Take a left turning into Rue des Charbonniers for approximately 2 kilometres and the cemetery is on the right hand side. 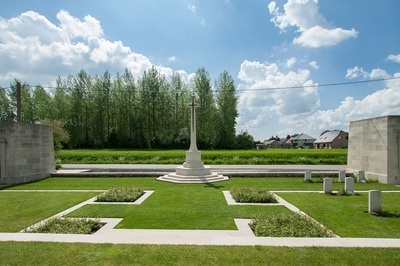 The village of Richebourg-L'Avoué was held by British forces from the autumn of 1914 until it was overrun by German units advancing west during the great Spring Offensive in April 1918. It was recaptured by Commonwealth soldiers in September 1918 and remained in Allied hands until the end of the war. 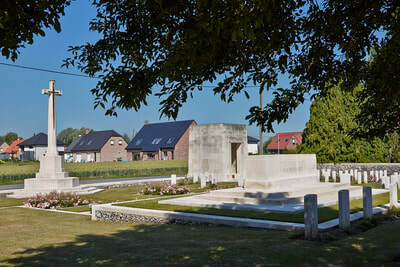 The village was less than two kilometres from the front-lines trenches and was routinely shelled by German artillery. 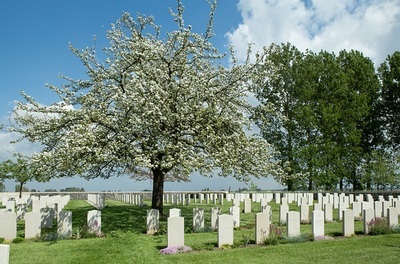 During the Battle of Festubert in May 1915, British soldiers began burying their fallen comrades in an old orchard near a forward dressing station which was located at the terminus of a trench tramway between the hamlet of Richebourg St. Vaast and La Croix Barbet. 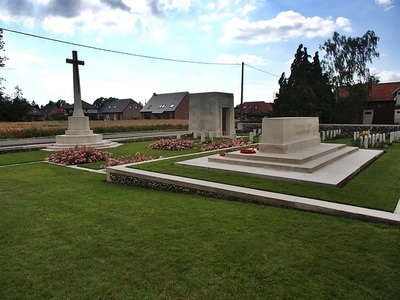 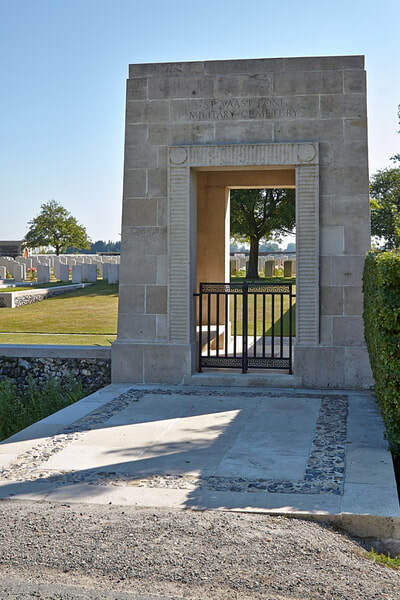 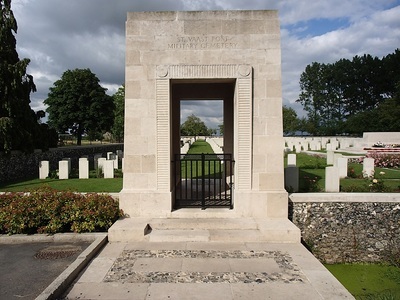 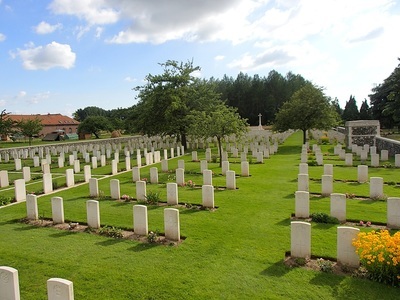 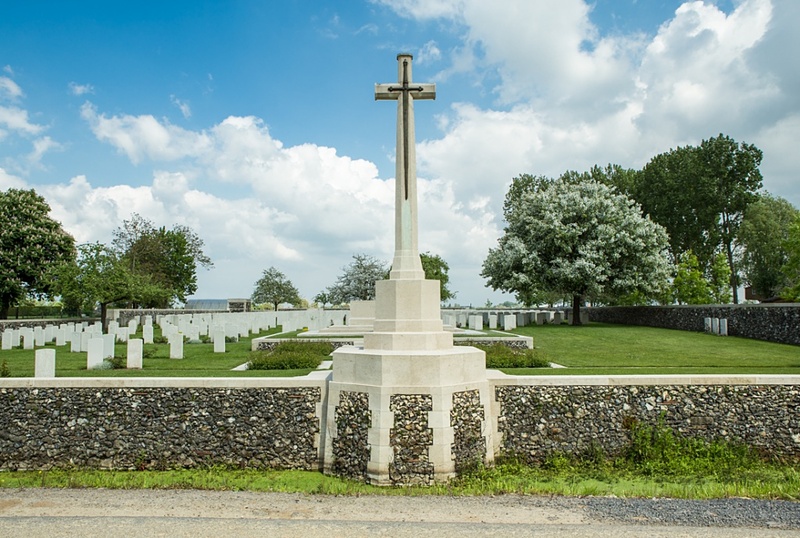 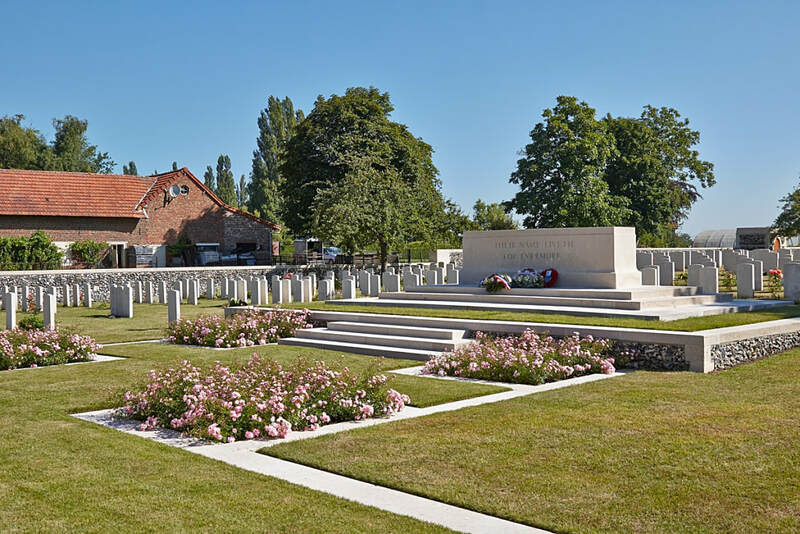 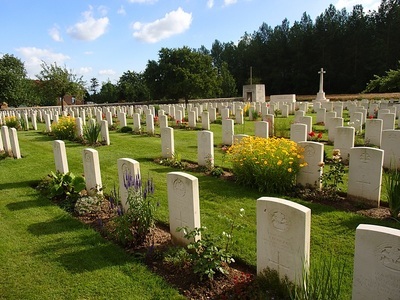 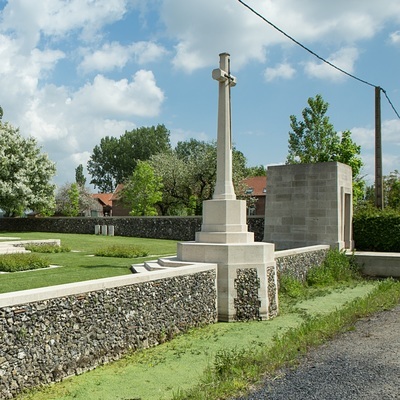 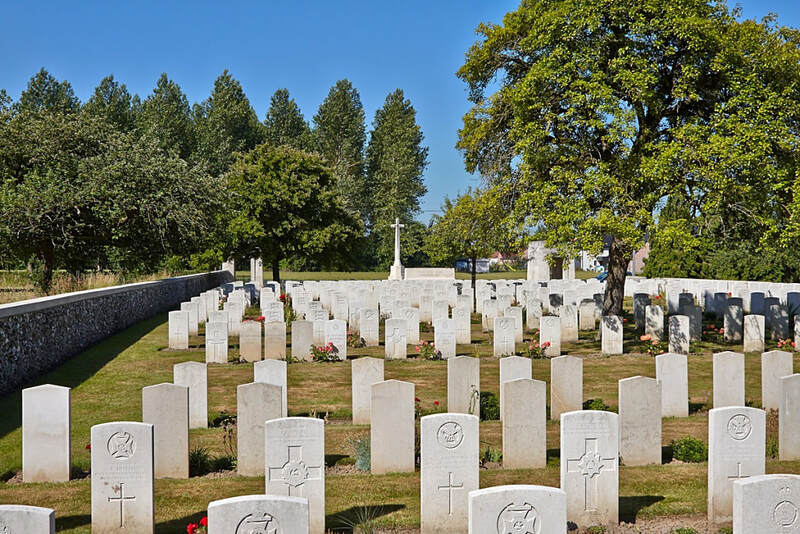 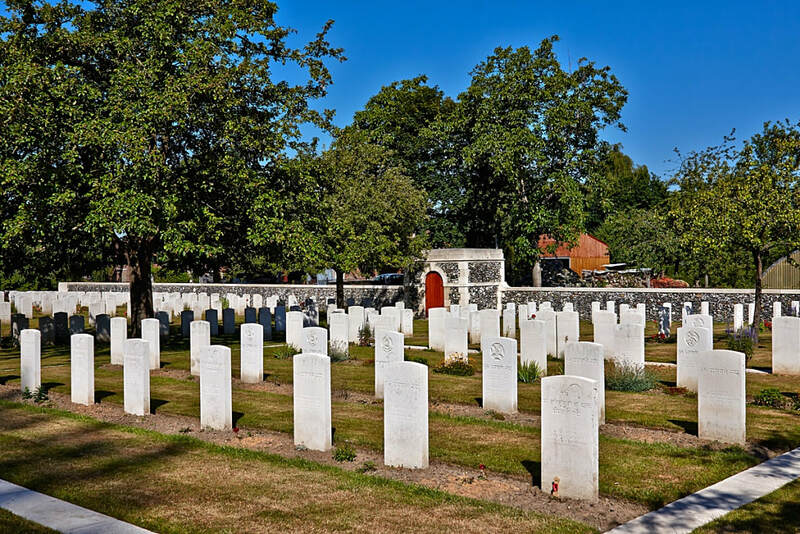 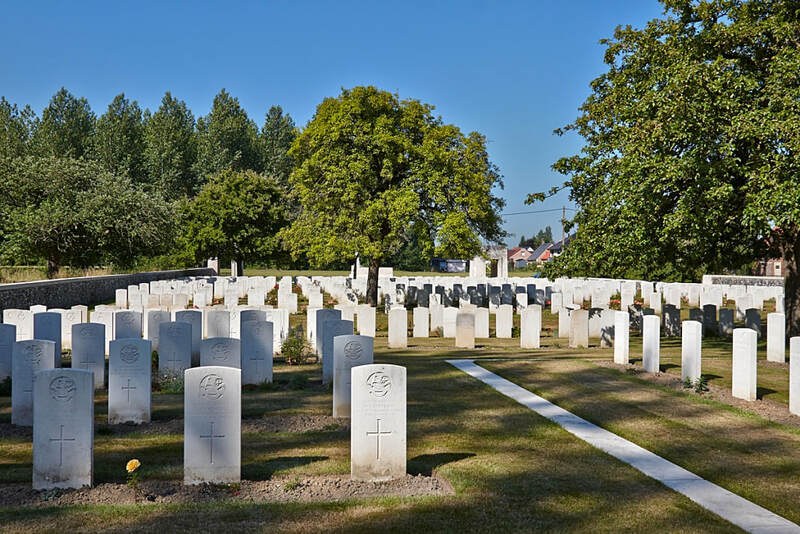 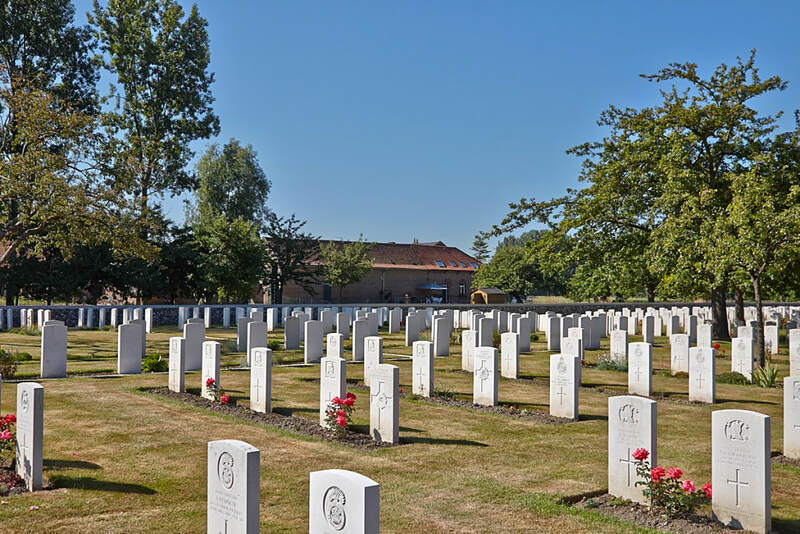 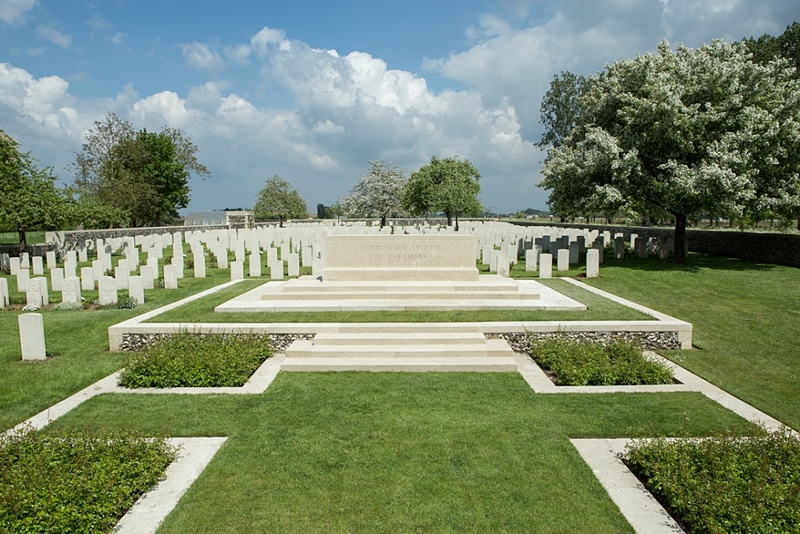 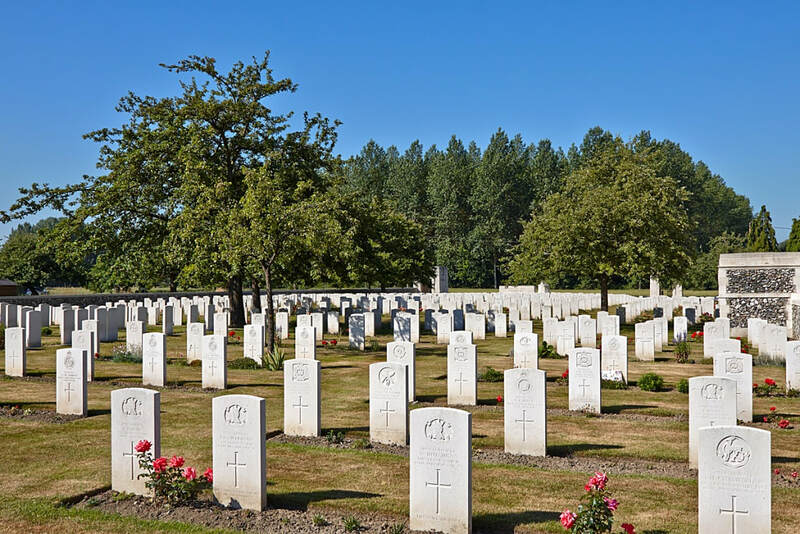 The cemetery was used by fighting units serving in the front-line and field ambulances until July 1917 and is the final resting place of over 70 men of the South Downs Pals battalion who were killed at the Battle of Boar’s Head on 30 June 1916. In April and May 1918, the Germans buried 90 of their dead in the south-east end of the cemetery and in September and October 1918, 18 British soldiers killed during the final Allied advance were laid to rest in Plot V. There are now almost 800 soldiers of the First World War buried or commemorated at St. Vaast Post, including over 90 German burials. Special memorials have been erected to three British soldiers buried in the cemetery whose graves cannot now be traced. 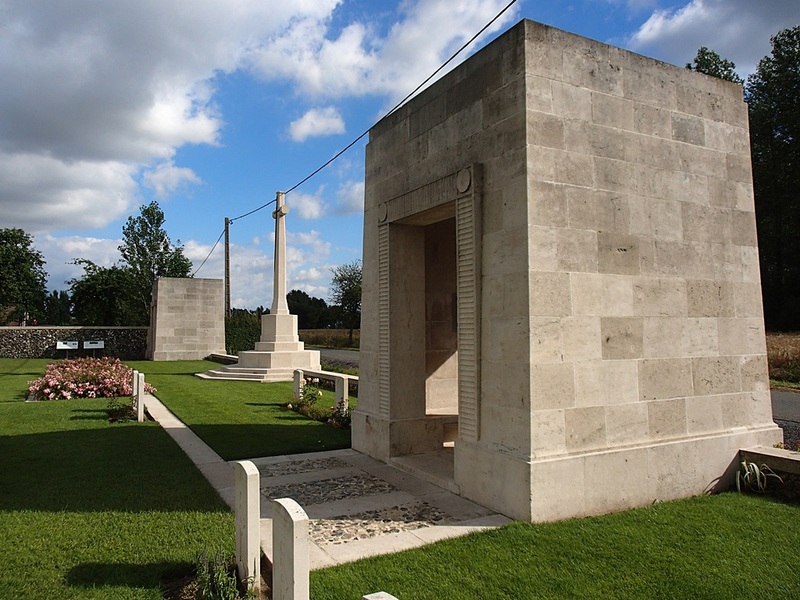 Major logistical preparations for the Anglo-French Somme Offensive had been ongoing for much of the first half of 1916. In order to disguise the exact location of the offensive and prevent the German forces from sending reinforcements to the Somme, the British High Command decided that a number of diversionary operations should be staged elsewhere along the front just before and during the main battle. 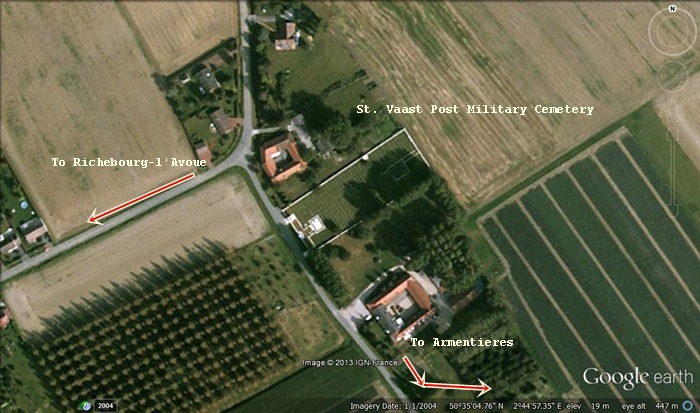 One such attack took place early in the morning of 30 June and focused on the German lines opposite Richebourg L’Avoué, including the Boar’s Head salient. 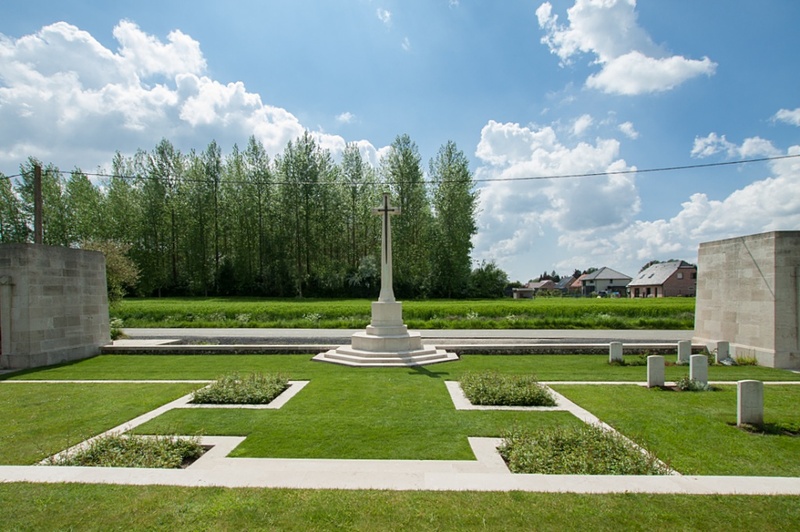 The salient had been formed during the Battle of Aubers Ridge in 1915 and gave the Germans a vantage point from which they could bombard the British forward positions with trench mortars and rifles grenades and fire on patrols and wiring parties working in no man’s land. 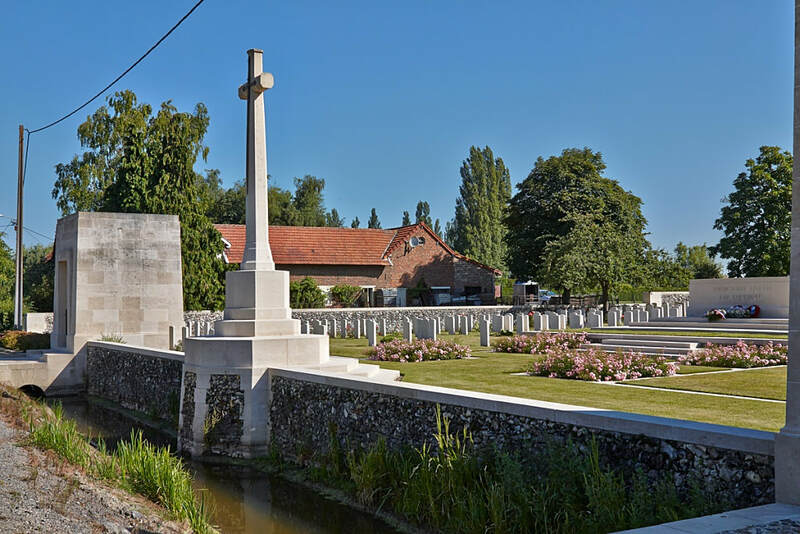 The British units selected for the attack were the 11th, 12th, and 13th Battalions of the Royal Sussex Regiment, otherwise known as the 1st, 2nd and 3rd ‘South Downs Pals’. Few of the officers and men had any experience of combat on the Western Front and they would be facing a well organised and determined enemy. 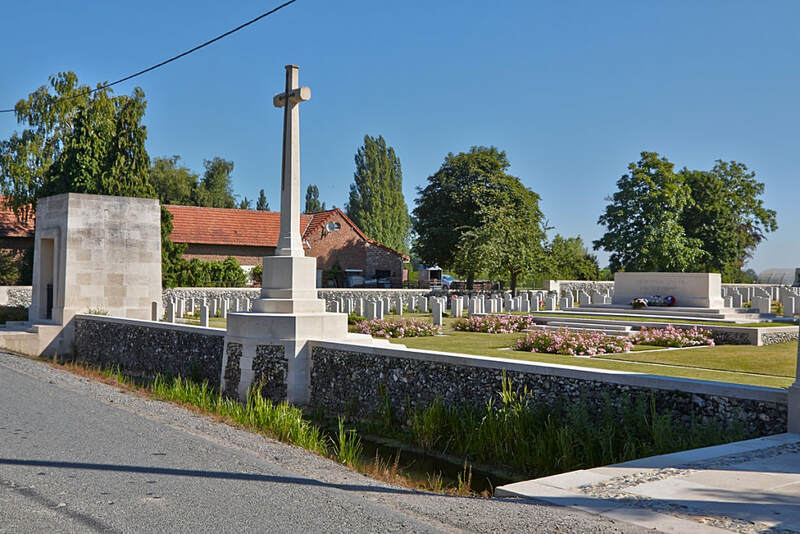 The date of the attack had to be delayed due to the brief postponement of the main Somme offensive further south, but the Sussex men finally left their positions at zero hour just after 3.05 am on 30 June and advanced through the smoke and half-light towards the German positions. The men of the 12th and 13th battalions led the attack and immediately came under heavy rifle and machine gun fire. Some of them nonetheless managed to fight their way through the German wire and occupy the front-line trenches. 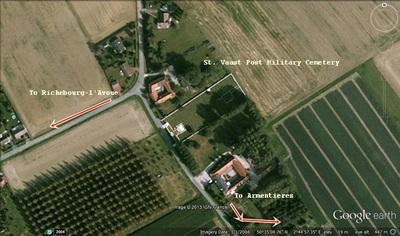 They held this captured territory for about four hours before they were forced to return to their own lines in the face of fierce German counter attacks. 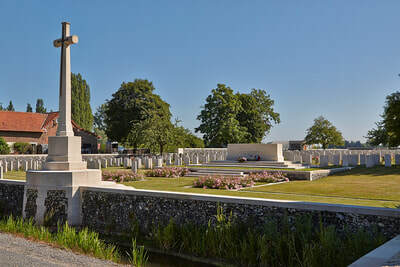 Over the course of less than five hours of fighting the three South Downs Pals battalions suffered approximately 1000 casualties, over 360 of whom had been killed. 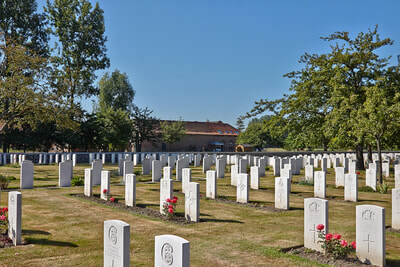 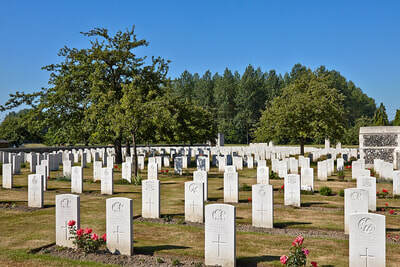 Casualty Details: UK 744, India 55, Germany 91, Total Burials: 890. 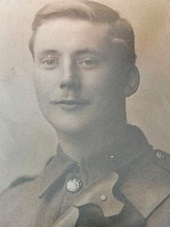 22nd March 1916, aged 29. 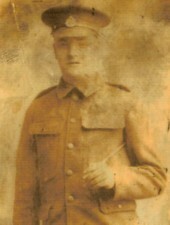 Husband of Betsy Barker, of Burnt Acres Farm, Eastwood, Todmorden. 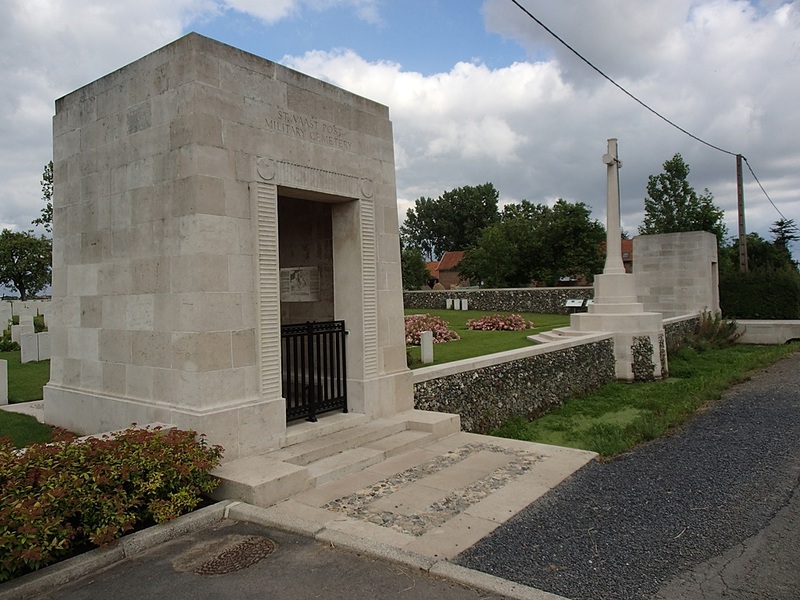 KIA 11th July /1915. 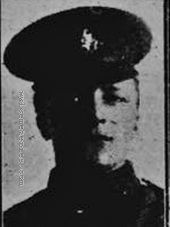 aged 23. 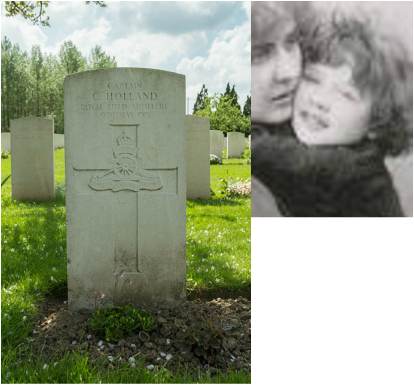 Husband of Marion Borland, of 47, Johnstone St., Airdrie. 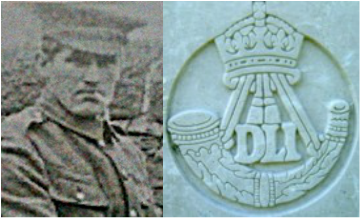 27th July 1916, aged 36. Husband of Eliza Harper, of North Side, Shadforth, Durham. 6th August 1916, aged 24. 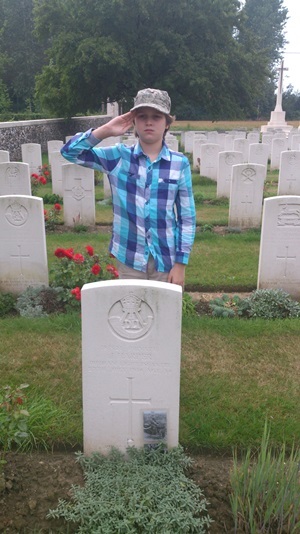 ​Son of Ellis and Louisa Haslem, of 10, Maple St., Clayton-le-Moors, Accrington. 9th May 1915, aged 29. 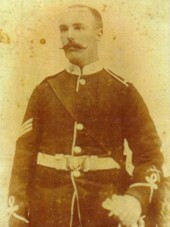 Son of Oscar Wilde and Constance Lloyd. 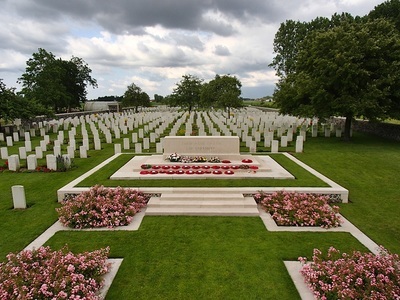 Dedicated by the Granddaughter of a woman who loved him dearly. "To a wonderfully brave man who sacrificed nine years of seniority to fight here and died redeeming his families name." 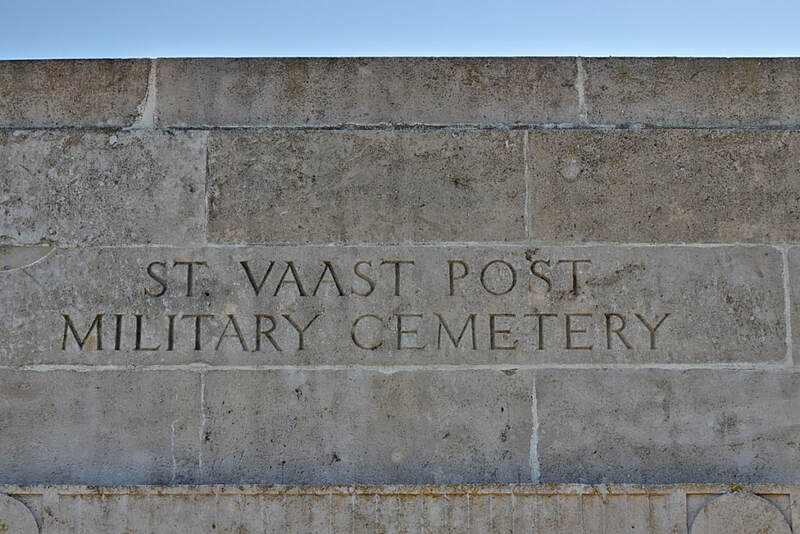 25th December 1915, aged 44. 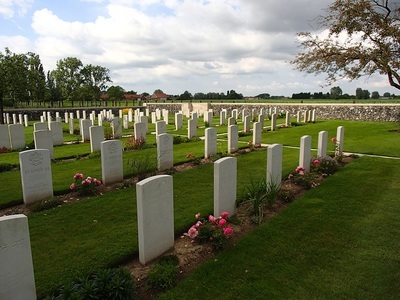 Son of Thomas Merritt, of Bishop's Cannings, Devizes; husband of Matilda J. Willis (formerly Merritt). 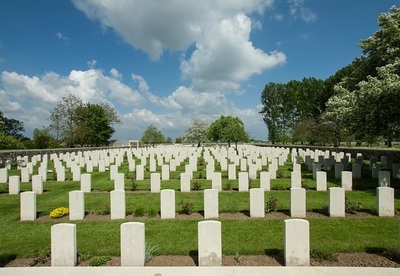 23rd June 1916, aged 28. 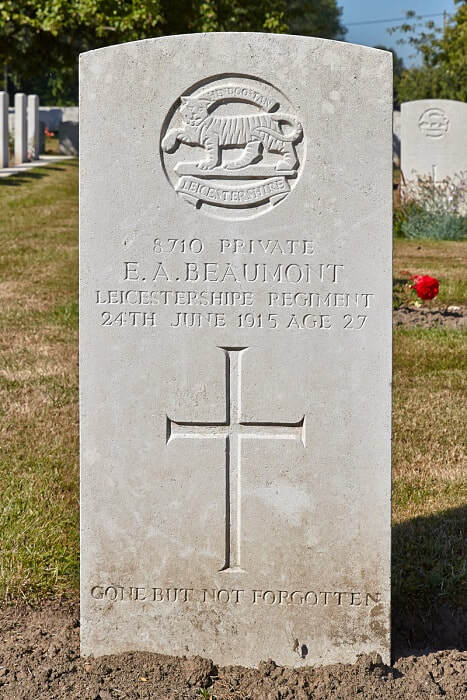 8710 Private Ernest Alfred Beaumont, 2nd Bn. 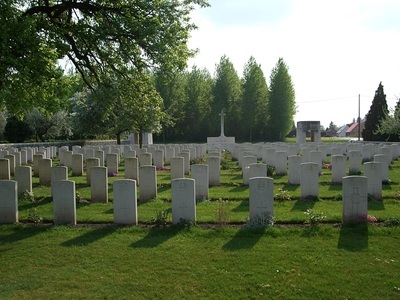 Leicestershire Regiment, executed for desertion 24th June 1915, aged 27. 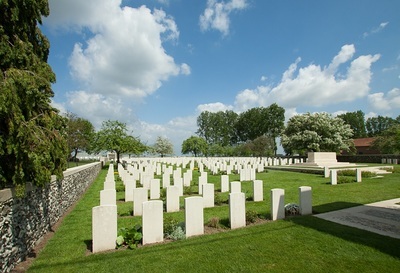 Plot I. G. 1. 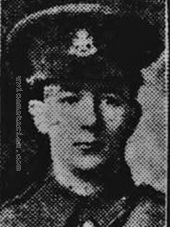 Son of James William and Annie Beaumont, of 35, Russell St., Hills Rd., Cambridge.